Leaving Columbia to come back to Charlotte today was a little harder than it normally was. Partially because I moved my entire closet to Columbia this weekend and kept running back inside for another article of clothing that I think I might wear this week... but mostly because that was my last Sunday afternoon drive back to Charlotte. And somehow, between now and next Sunday, I have to figure out how to say goodbye to this city and to the amazing friends that I have here. So don't mind the radio silence over here this week as I soak in everything about the Queen City: my favorite restaurants, my favorite greenway, my favorite activities, my favorite drinking spots, and my favorite friends. PS - Happy Mother's Day to all of the mothers out there, but especially to the two in my life! Girl, leaving Charlotte was one of the hardest things I have done as an adult...I cried like a baby the entire ride from CLT to Richmond. But since that move, I have been on the wildest adventure yet and have been loving every second of it. Soak it all in!!! hugs girl. i know how hard it is to leave a place you love. believe me, i know. but isn't it amazing that you were able to love different places? and that you can go back? whenever i get homesick (whether I'm in KY and missing Sydney or vice versa) I try and think of the positives. It's hard, I know! Saying goodbye to Charlotte is hard. We did it with very little notice a couple years ago. I feel like Charlotte has so many pockets/neighborhoods that it's hard to squeeze in everything in a short time. Enjoy your last week. From what I have heard about Charlotte, I would have difficulty leaving, too! I mostly grew up in West Columbia and Columbia. Awe!! I bet that will be hard! 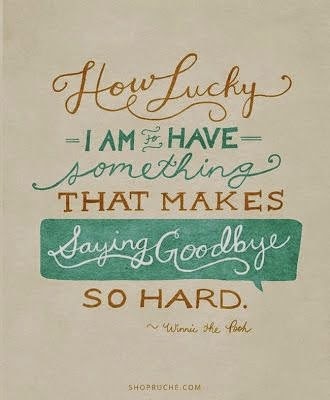 I can't imagine leaving Greenville- hard to say goodbye to the places we love. Good thing it's not too far away!! awww you will be missed so much!! can't wait to follow your life in columbia though!